Thavron Solutions is a Business Service consulting and technology solutions company that assists Fortune 500/Global 2000 companies in defining, modeling, costing and managing their services to improve bottom line performance. Chicago, ILL, April 25, 2016	(Newswire.com) - Today, IT Executives from Fortune 500 companies will be learning how to plan and run Service Costing projects at the IT Financial Management Week ITFM Boot Camp. CEO Nan Braun will teach the intensive 4 hour boot camp where the executives will learn the 'Why' , 'What', and most importantly, the 'How' of a Service Costing project. "Over the last 3 years, out teams have helped companies better align to the needs of the business, optimize their services and have had millions of dollars of impact at the bottom line", said the Thavron CEO. " 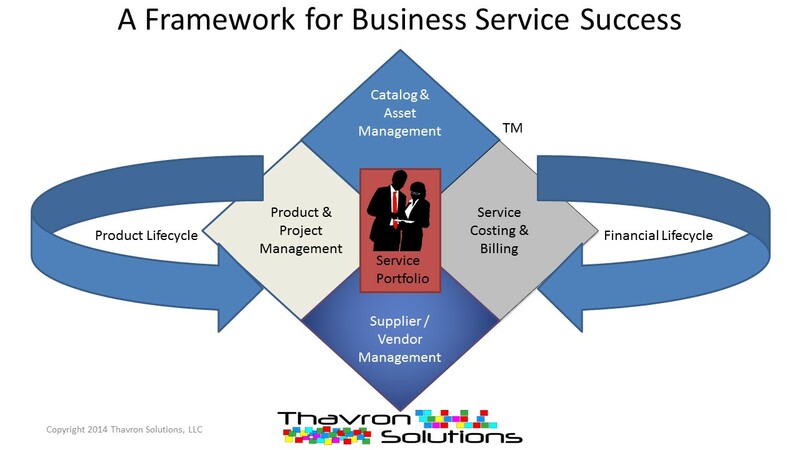 By leveraging Thavron Solutions' trademarked Service Portfolio Management Framework - a platform of tools, metrics and methodologies that unifies the existing disparate processes, systems and data already in use by IT/Technology organizations- our teams have been able to consistently enable companies to implement and grow IT Financial Management solutions like Service Costing models and dashboards. We are excited to be able to bring our methodology and leading practices to IT Financial Management Week and share it at the ITFM Boot Camp. It is our hope that the attendees will be able to leverage this information to make good decisions about how to change the conversation in their organizations from the Cost of IT to the Value of IT". Service Costing is a critical process for companies who are embracing Business Services, but without correct design, assessment and planning the project can quickly consume resources without providing the insights and analytics needed to be competitive in the market. Attendees at the IT Financial Management Boot Camp will learn processes and tools that will help drive the average 10% bottom line saving impact seen in first time implementations. Later in the week, Thavron Solutions will also be demonstrating their Data Assessment tool suite, and will lead the general attendees in a round table session where they can benchmark their ITFM processes and maturity against their peers. Sign up for email updates from Thavron Solutions.